Create a roadmap to manage all the decisions & challenges while maintaining a balanced healthy life. Below is everything you'll get in this 6-week online course that will give you a customized roadmap for caretaking. It is specifically designed so you have the tools, knowledge and confidence to deal with the difficult decisions and chaos that are part of each stage of elder care. Once you've completed the course, you'll be able to provide your loved ones with a high quality level of care that is within your budget and won't force you to sacrifice your own health or finances. Each week will cover a new module so you'll have time to absorb the information and won't feel overwhelmed. Each module has several segments presented in short 20-minute videos that you can watch when you have the time. The financial and legal documents you will need so that you are prepared ahead of time for any emergency that may come your way. If planned properly, this will save you thousands in unexpected costs and fees. Choosing the right attorney. Understand what type of attorney you need, where to find them, and how to select the one that is right for you and your family. Power of Attorney. Learn the challenges of being a power of attorney, how to keep family members involved and informed, and how to know that you're making the right decisions. The Realities of Caregiving. Learn the realities of quality care giving and the impact it has on caregivers. Define your caregiving role, how much time you can give to caregiving without impacting your current life, health and family. Creating a caregiving team. Identify the caregiving roles that need to be accomplished and fill those needs with family, friends, and neighbors, Adult Day Care or Home Care. Organization tools to manage your caregiving team and making it simple. The Caregiver Tool Kit. 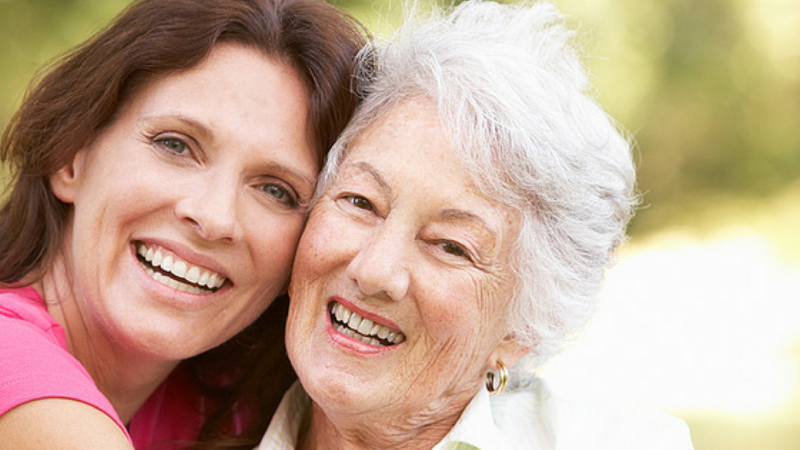 Learn to increase positive outcomes for caregivers with this comprehensive tool kit. You'll also get my Home and Elder Care Skill Assessments so you can understand where your family member is struggling and other useful things like identifying tripping hazards in the home. Understanding the roles and responsibilities of the medical professionals you encounter. Learn to use the knowledge you gain in this module to understand the health care industry and build strong relationships with your medical team to make life easier for you and get better care for your loved one. Preparing for doctors’ visits. Most visits are 15 minutes or less and after completing this section you'll understand how to make the most of these meetings. Know what questions to ask, what information you need, and how to make good decisions based on that information. Emergency Room Preparedness. This section ensures you are prepared for medical emergencies and that you're able to answer the various questions about insurance, doctors names, medication information, etc. Being prepared for this situation will allow for quicker care for your family members and less stress for you. The hospital discharge process. Often your family member will be discharged and you will have 24-48 hour notice. You'll know what preparations to make from choosing a rehabilitation facility, choosing home care medical and non-medical, setting up hospital beds, oxygen delivery so you're not scrambling at the last minute to identify the best option. The many faces of home care. An overview of the home care industry and all the options available to you. You'll learn all the details about the options you have and I'll give you important interviewing tips and reference checking questions that help you make the right choice. Learn the role and responsibilities of the three types of home care medical professionals - Nurses, Physical Therapists and Occupational Therapists. You'll learn how to choose a vendor for non-medical home care that is a good fit for your family and how to deal with the change this brings to your loved one’ lives and yours. Finally, you’ll learn how to prepare for the transition, what precautions to take and what preparations make the most difference in easing into a new way of living. Because I'm always talking about having a Plan B. In the ToolKit we have Bonus Modules. Bonus modules offer comprehensive overviews of Assisted Living Communities, Nursing Homes and Rehabilitation Hospitals that are currently available in the marketplace to help you make the best choice for long-term care. Choosing an Assisted Living Community reviews a variety of assisted living services, some that include Nursing Homes as part of their community. Choosing a Nursing Home offers a comprehensive review of Nursing Homes, what is available in the marketplace and how to make the best choice for your situation. Many families will face choosing a Rehabilitation Hospital at some point and knowing how these decisions are made and how to choose the best option will more quickly help your loved one regain their independence. A Site Visit Interviewing Tool and Cost Comparison Tool is included for each of these segments so you don’t miss important questions and can easily compare one community to another. Learn the difference between the two types of care so you can make an informed decision about which is best for your family. Understand the different organizational structures of Hospice organizations and how each structure delivers care differently. Know what questions to ask providers and what choices to make your for family. Learning about the importance of disease process and how that can help you make informed decisions in each stage of a disease. This will significantly change the way you interact with doctors, the decisions you make and lead to the best life possible for your loved one. Talking about final wishes is never easy, but the My Last Wishes (Bonus) will give you a tool to make that a meaningful and easier conversation. Often after a loved one has passed away, it’s hard to think about what needs to be done next, this segment will prepare you for this difficult time and give you the tools to make better decisions in a time that many describe as being in a “fog”. Bonus modules offer a comprehensive overview of Assisted Living Communities, Nursing Homes and Rehabilitation Hospitals that are currently available in the marketplace to help you make the best choice for long-term care. Instructions on how to identify the leading medical expert in a particular field - When there is a serious illness in the family, seeing a specialist that is the leading expert in a field can save a life. Finding this expert is not always easy. Now you have a tool. Overview of monitors and surveillance options - A comprehensive overview of monitors and surveillance options in the marketplace to help you keep an eye on things. Final Wishes Document - A comprehensive document that makes a difficult discussion meaningful and helps you to give your loved ones’ what they want. Knowing When Things Go Wrong - It’s easy to overlook the annoyances when you are busy. This document will help you step back and notice when it’s time to make a change, either a new primary care physician, bank or others. Sign up today! Your class starts immediately and runs for 6 weeks. Space is limited! Sign up today! Your class starts immediately and runs for 6 weeks or at your pace.